Holland goalkeeper Tim Krul is ecstatic to be in the semi-finals of the World Cup after his dramatic introduction to the tournament. The Newcastle player came on late in extra-time to replace first-choice keeper Jasper Cillessen and then produced two saves in a penalty shoot-out against Costa Rica after a goalless draw over 120 minutes in Saturday’s quarter-final in Salvador. 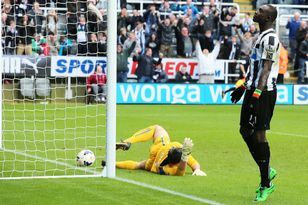 Krul said: “I have realised a dream, What I’ve experienced is an incredible emotion. “(Holland coach Louis) van Gaal had warned me. Van Gaal promised Cillessen – who, unlike Krul, was not told of the planned change for the shoot-out – he remains his first choice for the semi-final. He said: “There is no question about who will start next game, it will be Cillessen, but we felt Krul was the better choice here. The Oranje had numerous chances to win the game without the need for spot-kicks but were denied by the woodwork three times as well as by an inspired display from Costa Rica keeper Keylor Navas. “It was that kind of night when the ball did not want to go in,” midfielder Wesley Sneijder added, “but despite all of our hard work we still went into the penalty shoot-out sharp. Bryan Ruiz and Michael Umana saw their spot-kicks saved by Krul while the Dutch converted all of their attempts. Holland, runners-up four years ago in South Africa, will next take on Argentina in the last four on Wednesday in Sao Paulo.